How to ask - Will You Be My Bridesmaid? The Dessy Group is proud to introduce PANTONE WEDDING™ - brought to you in partnership with PANTONE, the world color authority. PANTONE WEDDING™ is a collection of wedding planning tools that will help make your wedding planning process seem effortless. Our PANTONE WEDDING™ Chiplettes and Color Guides provide an exact match to your dress color and will help you communicate your colors, instantly and accurately. Our PANTONE WEDDING™ Chiplette Swatches are perfect for distributing to your bridesmaids, stationer, wedding planner & other vendors. And our PANTONE WEDDING™ Color Guide, a portable swatch fan deck of all the current Dessy colors, is a must-have for brides-to-be and wedding professionals to assist in color decison making. Capture your dream wedding vision by designing wedding inspiration styleboards that show off your favorite colors, styles, accessories and inspirational photos. Share your inspiration styleboards with your family, wedding party, vendors and publish to our inspiration styleboard gallery to inspire others. Invite your bridesmaids to join your bridesmaid to-do list. From sharing dress options to receiving the fitted dresses, you will have fun communicating with your bridesmaids, and you will have peace of mind that all your maids will be ready for your big day. We hope that Bridesmaid Planner will eliminate stress as you plan together along the way! The Dessy Group's Bridesmaid Planner App is now available on the Google Play Store, the Apple App Store and the Web. Planning your wedding is not easy. Everyone has advice. Everyone has an opinion. And that's just the people you know! If you were to read just half the books, pamphlets, web sites, etc. written in the last half-century about wedding etiquette and protocol, you'd be reading and planning until your retirement! So how do you choose whose advice to heed and what resources are most relevant. Bridesmaids play an essential role in wedding traditions that span the globe and date back centuries. The bridesmaids are counted on to perform timeless duties, from warding off evil spirits to keeping the groom on his toes. Wedding traditions and beliefs may have changed over the years, but the significance of the bridesmaid remains the same - a symbol of trust, devotion and friendship. Enjoy a fun, historical look at the role of bridesmaids. 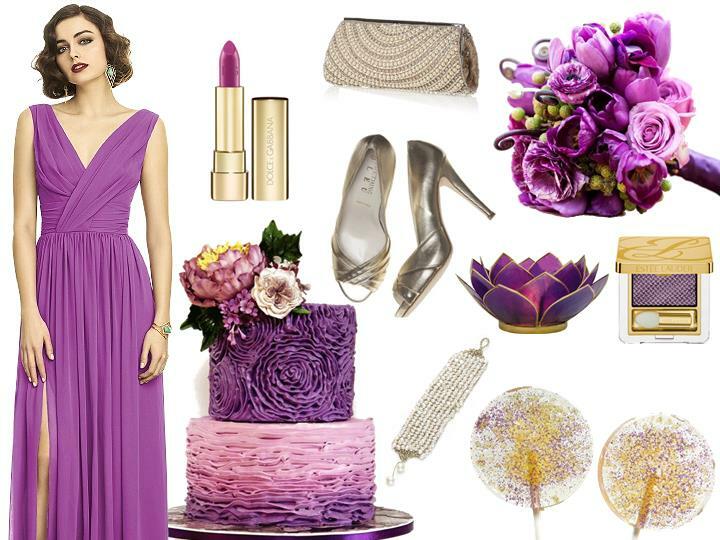 More than ever before, bridesmaid's dresses mirror the best trends from the fashion runways and red carpets. The dress, in fact, is one of the season's most appealing fashion statements, and both the bride and her attendants will delight in the selection. Whether sleeveless, off-the-shoulder, slip dress or two-piece dress, there's a look to suit every taste and to highlight the best features of each member of the bridal party. When they started, destination weddings smacked of daring adventure and romance. The alternative, escapist feel of a beach ceremony was akin to that of an elopement. Today, destination weddings are more the rule than the exception, as these so–called stolen moments have exploded into elaborate week-long ceremonies complete with extended family, orchid petals and exotic cuisine. When it comes to your exotic ceremony, the destination wedding dress is just the beginning. Find out how to embrace head-to-toe tropical beauty, from the most beautiful beach blooms to the perfect island-inspired pedicure. Just because you're having a destination wedding doesn't mean you don't deserve all the bridal pampering and preparation your heart desires. Dessy shows you how. A wedding dress is the embodiment of all the excitement, possibility and promise your new love holds. As such, the destination wedding dress is the most singularly romantic, daring and adventurous purchase a bride can make. Investing in a destination wedding dress means dressing for the unexpected, gilding yourself in a gown that will stand up to what ever foreign magic awaits. Find out more about this sacred dress, from the history to the significance. A complete wedding includes more than just the ceremony: showers, parties, and notes of thanks are all in order. Dessy will bring you up to speed on everything you need to know about wedding stationery, from "Will You" to "Thank You.". Dessy offers this $6.95 guide for free in HTML format for our valued customers. Invite those most important to you to stand by your side in style. The Dessy Group has partnered with Oh Joy! Studio to design a line of bridesmaid cards using a mix of playful pattern, organic texture, and a vibrant use of color. Available exclusively from The Dessy Group. The Dessy Group is pleased to offer Tuxedo Vests, Ties and Accessories in a wide range of colors. AND, don't miss our NEW premium collection of pure silk woven ties, perfectly styled to complement any special occasion. AfterSix for Men offers modern Tuxedos, Tuxedo Shirts, and Destination Suits. The Dessy Twist wrap dress can be twisted and wrapped in countless ways, just change the wrap to change the look. The Twist wrap dress will provide your bridesmaids with endless wearable options, in your choice of cocktail length or full length in 12 popular colors. Designed in luxurious, hand washable matte jersey, this convertible dress packs well and is ideal for destination weddings, or even your honeymoon. The Twist wrap dress gives you a chance to design your own dress. Following the success of the Lela Rose wedding collection, and the much talked about dress designs Lela Rose created for Jenna Bush's "house party", it seemed only natural that the Lela Rose Bridesmaid collection would follow. Combining elements from her signature collection such as layered crinkle chiffon and pleated cotton faille, the Lela Rose Bridesmaid dresses focus on designer quality fabrication and detailing while remaining accessible.